Check out our News and Calendar for information about this year's events! 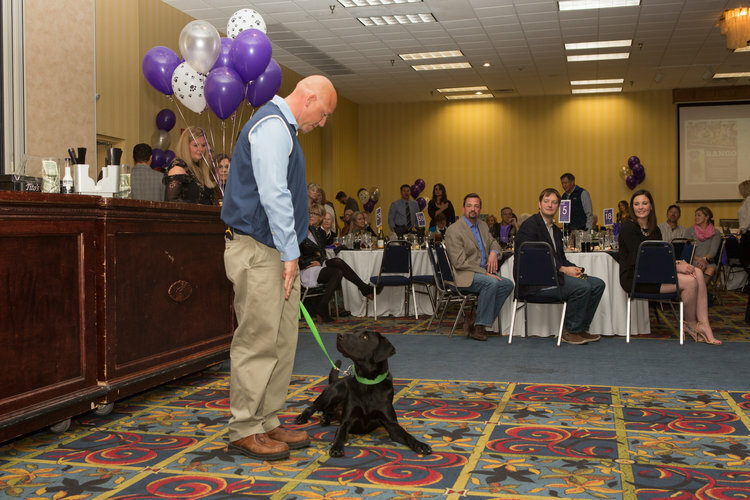 Bark and Wine is the largest annual fundraiser for Black Dog Animal Rescue. Tickets to this event will get you access to a beautiful evening, and a fantastic dinner. Enjoy live music and browse a large silent auction. Meet adoptable animals and visit with BDAR volunteers, staff, and Board members. Celebrate your love for shelter pets! Anyone who supports Black Dog Animal Rescue’s life-saving work is invited to attend. Bring your friends and family too! This is not a formal, black-tie event. Dress code is more along the lines of business casual. This event takes place in October. Call 307-514-4024 for more information or with questions. We like to give our adoptable animals the chance to meet potential adopters, since we have a foster home-based system. It also gives you a chance to meet our staff and volunteers and learn more about BDAR. We currently have monthly adoption meetings in Cheyenne, and occasional ones in Casper and Laramie. Information about the drives can always be found on our Calendar. Please give us 4-6 weeks notice to plan for the event. BDAR depends largely on the financial support of our generous donors, so we may need to ask for a one-time donation to help us offset costs and support our mission. Due to availability of foster homes and fluctuating number of foster animals, we cannot guarantee a set amount of adoptable animals to be present. The number of adoptable animals will vary. If you or your organization are interested in partnering with BDAR for an event, please email our Volunteer Coordinator, Maddi at maddi@bdar.org.